This template includes 60+ carefully designed and well coded pages, which are easy to edit and customize to fit your needs. Template is perfect solutions for the create of unique web projects. 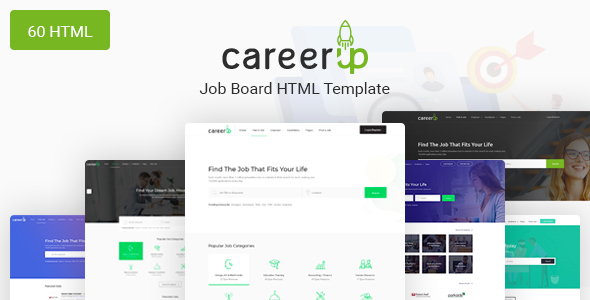 CareerUp: Simple, elegant, extensive, professional. Flat, modern and clean design.